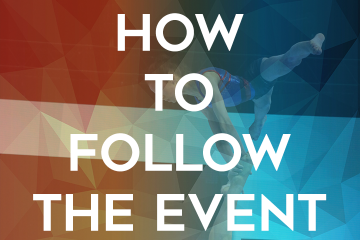 If you can’t make it to Antwerp for the 2018 Acrobatic Gymnastics World Championships 13 – 15 April, there are plenty of ways to stay up to date on everything happening at the Lotto Arena. Below are several ways to keep up with the action. Click here to see the list of rights holders. A highlight package will be uploaded to the FIG Youtube and Acrobatics 2018 channel each day, while qualification routines from each athlete will be made available after the competition. Follow the scores in real time during qualifications and finals here and here. Find out about the latest news, live scoring, official results, medal standings and a complete competition programme on the FIG go-to web portal and Acrobatics 2018. Check out the FIG on Facebook, Twitter and Instagram for livestream alerts and photo galleries from on and off the competition floor. Or follow Acrobatics 2018 on Facebook, Twitter and Instagram.